A hundred years ago a New York City retailer and amateur golfers met for lunch to discuss the game’s surging popularity. That meeting ultimately spawned The Professional Golf Association, a worldwide entity with nearly 30,000 members. “When the PGA of America’s founders gathered a century ago, they made it their mission to elevate the golf profession, and the cornerstone of their plans was teaching the game,” said Derek Sprague, president of the Professional Golfers’ Association of America. Retail magnate Rodman Wanamaker invited the collection of amateurs and golf professionals to lunch at the Taplow Club one fateful January afternoon. Inside the restaurant within the Martinique Hotel, the innovative retailer pitched an idea to expand golf’s influence. The original group of 35 members was chartered on April 10, 1916. In October, the PGA hosted its first major tournament at Siwanoy Country Club in Bronxville, NY. James M. Barnes won the four-day competition, earning a trophy and part of the $2,580 purse Wanamaker donated. Augusta National Golf Club, Augusta Ga.-- Founded by Clifford Roberts and golf legend Bobby Jones, this prestigious course in Georgia’s northeast corner hosts the Masters tournament every year. Sited on a former plant nursery, each of the 18 holes is named for a flower, tree or shrub. Many of the holes on the front nine have been renamed, and the course’s architecture has changed since opening in 1933. The extremely exclusive private course is notoriously difficult to join. Billionaire Bill Gates was originally rejected by the membership committee in 1998. He would officially become a member several years later. Signature hole: No. 12 (Par 3, 155 yards) --History and beauty converge here in the heart of “Amen Corner” a name given to the eleventh, twelfth and thirteenth holes during the 1958 Masters. Mature trees lining the fairway lead to a challenging green protected by Rae’s Creek and a pair of bunkers. Pebble Beach Golf Links, Pebble Beach, Calif.--Arguably the most striking course in all the world, this public course winds its way along the rocky shores of the Pacific Ocean. Celebrities and pros alike converge on the course every year for a tournament that began in 1947. The course is one of four owned by the Pebble Beach Company. The Links at Spanish Bay, Spyglass Hill Golf Course, and Del Monte Golf Course are Pebble Beach’s sister courses. Signature hole: No. 7 (Par 3, 106 yards) It’s easy to see why this is possibly the most photographed hole in the history of golf. The Pacific Ocean licks three sides of this peninsula layout, which leaves next to no room for error. Torrey Pines Golf Course, La Jolla, Calif.--Hosts the PGA Tour's Farmers Insurance Open every year. The U.S. open is coming to the course again in 2021. William F. Bell designed the course that last hosted the U.S. Open in 2008. Signature hole: No. 3 (Par 3, 198 yards) Confidence is king at this deceptive oceanside hole. 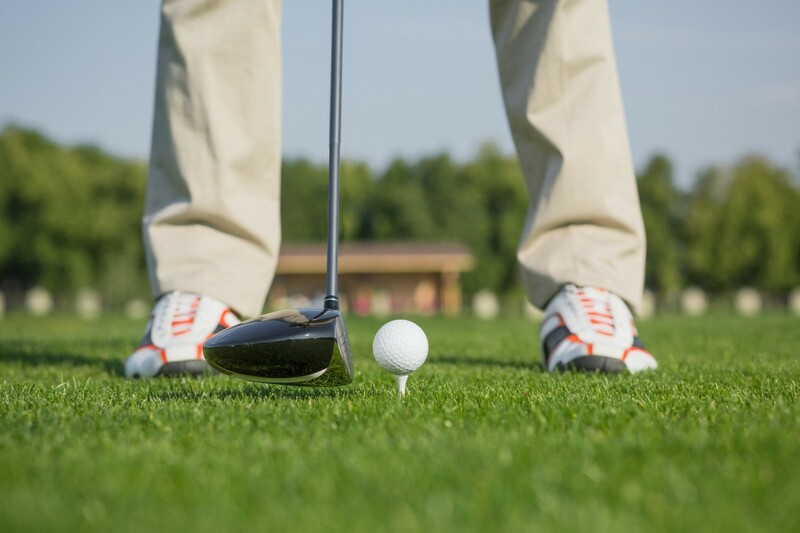 The hole plays shorter than its yardage indicates, so take a club higher if you’re in doubt. Trump National Doral Golf Club, Miami, Fl.--Home to this year’s WGC-Cadillac Championship, the course stretches more than 7,600 yards of dense rough, sprawling water hazards and trecherous bunkers. Signature hole: No. 18 (Par 4, 449 yards) Affectionately known as the Blue Monster, the concluding hole sees a leg hugging its left side and bermudagrass to its right. Unless you can keep the ball airborne for 270, you’ll likely have to hit your second shot over the water. Bethpage Black, Long Island, NY--There are five golf courses inside New York’s Bethpage State Park. The black course is far and away the most challenging. Bethpage Black--designed by architect Albert “Tillie” Tillinghaust in the 1930s--didn’t host its first PGA event until the US Open came to town in June 2002. Signature hole: No. 15 (Par 4, 458 yards) This deceptively long and narrow hole has a reputation for ruining rounds. Keeping the drive in the fairway is crucial on this dogleg left that’s mowed to suggest the landing area is actually to the right. The clifftop green is reachable, though massive bunkers punish anything less than a near-perfect approach. Dense grass separates the bunkers and covers the hill that’s steep enough to sled on during the winter. More fun awaits on the green, where a notoriously quick putting surface and aggressive slope intensifies a poor read. The green is so quick U.S.G.A. officials urge greenskeepers to water it down slightly to slow a putt’s roll.